Data continues to show that women are entering the justice system at rates exceeding male offenders and bring with them extremely complex and multi-layered behavioral and physical health issues. While systems must make choices on how best to deploy limited staffing and programming resources, this broadcast series is an opportunity to explore methods of coordination between behavioral and physical health care. This broadcast is the 2nd offering in a two part series addressing health related issues with women in our nation’s justice systems. On August 15, 2012 the first in the two-part series “Health, Justice and Women: Transforming Systems—Changing Lives” was aired and explored research, strategies and resources designed to effect health care practices with justice-involved women. 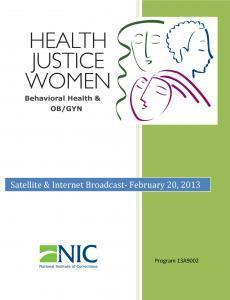 This broadcast “Health, Justice, Women: Behavioral Health and Ob/Gyn,” held on February 20, 2013, will take a closer look at areas introduced in the first broadcast with a focus specifically on the complexities of behavioral, obstetrical and gynecological issue that impact all women in our justice systems. Through short lecture, slides, video, interviews, practical vignettes and introduction of a broad array of resources, we will address behavioral health issues and initiate discussion around ob/gyn issues that impact women through their lifespan but that often create broad challenges to our agencies. As part of those discussions, we will spend some time on reproductive health issues to include pre and post-partum issues as well as the use of restraints during pregnancy. 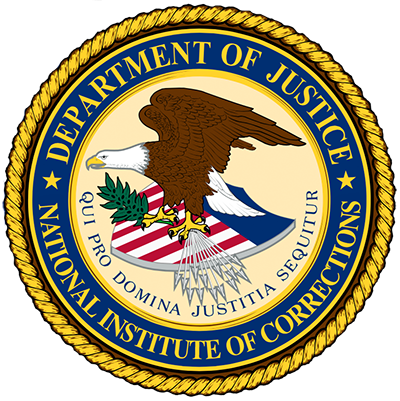 During this discussion, participants will: Explore how research from the Adverse Childhood Experiences (ACE) study, the National Prevention Strategy (NPS), and others can inform correctional health practices for justice-involved women; Explore models in correctional settings of evidence-based behavioral and women’s health services; Identify how professional health care organizations continue to contribute to correctional health care for women; and Initiate agency-based conversations regarding creation of and/or enhancement of health care practices for women. Also included are the PowerPoint slides from the presentation and the Participant Guide.